The comments of MCA Religious Harmony Bureau Chairman Datuk Ti Lian Ker against Umno Petaling Jaya Utara division deputy head Mohamad Azli Mohemed Saad give us something to ponder. According to Ti, in suggesting the discussion of the possible abolition of Chinese vernacular schools at the coming Umno general assembly, Mohamad Azli falls afoul of Article 152 of the Federal Constitution which, in addition to enshrining Malay as the national language of Malaysia, supposedly provides the right for non-Malay medium schools such as Chinese and Tamil schools to be established to provide for education in the mother tongue of minority Chinese and Indian communities, and this is sedition under the Sedition Act 1948. I believe the issues that arise should be dealt with as answers to two questions: firstly, whether our Federal Constitution protects the right to the use of the mother tongue of any particular community as the medium of instruction for any schools; and secondly, if there is such a right, whether a call for a debate with a view to the abolition of Chinese (or indeed Tamil) schools, in existence for more than half a century here as reminded by Dong Zong deputy president Chow Siew Hon, is sedition under the Sedition Act 1948. First of all, there is a need to state the position of the Federal Constitution on this matter. Article 152(1) states that the national language of Malaysia is the Malay language. However, there are two provisos as set out in Articles 152(1)(a) and (b), namely, that no person shall be prohibited from using, teaching and learning any other language, unless for official purposes; and that nothing shall prevent the right of the federal government or any state government from preserving the use and study of language of any other community in Malaysia. At a glance, these two provisos would appear to protect the existence of Chinese and Tamil vernacular schools. However, a closer scrutiny of the said provisos to Article 152 would reveal otherwise, and this can be gleaned from the decision of the federal court in Merdeka University v government of Malaysia. In this case, Dong Zong had requested the federal government for an incorporation order issued pursuant to Section 6 of the University and University Colleges Act 1971 for the establishment of a university, namely the Merdeka University, using Mandarin Chinese as the medium of instruction. This was rejected by the government at the time as being against the national education policy. Subsequently, Dong Zong sued the government at the high court and was dismissed. This was appealed at the federal court and their Lordships Lord President Suffian chief judge of Malaya Raja Azlan Shah J, federal court justices Salleh Abas and Abdul Hamid held, by a majority (with Justice Seah disagreeing) that if an order for the incorporation of the university were to be made, it would be, notwithstanding its privately owned nature, a public authority as it would be exercising powers under the University and University Colleges Act 1971 as the legal basis for the functioning of the university. And as the university would be a public authority, use of the Chinese language as the medium of instruction would be for an official purpose and thus, prohibited by Article 152(6) of the Federal Constitution. Thus from the above reasoning it was deduced that Chinese and Tamil schools, being established pursuant to the Education Act 1996, were also public authorities within the ambit of the above interpretation, and therefore the use of Chinese and Tamil as the medium of instruction within those schools was similarly prohibited. But do the aforementioned provisos to Article 152(1) protect the right to receive instruction in a language other than the Malay language? To this, His Lordship Suffian LP postulated that the word “using” in proviso (a) to Article 152 does not include “teaching in” any language apart from the national language. Thus, while the proviso protects the teaching and learning of any other language – including one’s mother tongue – the protection however does not extend to the use of those languages as medium of instructions in schools. Thus the answer to the first question, namely whether the Federal Constitution protects the right to establish vernacular schools is, quite frankly, no. By virtue of the above precedent we can safely conclude that no such right exists. This should put paid to the second question, that is, whether the questioning of the right to instruction in one’s mother tongue is sedition within the ambit of the Sedition Act 1948. For sure, no statement is seditious when it questions a purported right that is in reality non-existent, what more protected from question under the Sedition Act 1948 as claimed. The landmark decision in PP v Mark Koding is often cited as authority, including by Li himself and other supporters of Chinese education to assert that the questioning of the vernacular schools is sedition. However, such an assertion should not be accepted at face value. Instead, the facts of the case and the judgement delivered thereon should be read to see whether this precedent is indeed what critics of Mohamad Azli allege. In PP v Mark Koding, a member of parliament, Mark Koding, was indeed charged with sedition under Section 3(1)(f) of the Sedition Act 1948 and convicted. 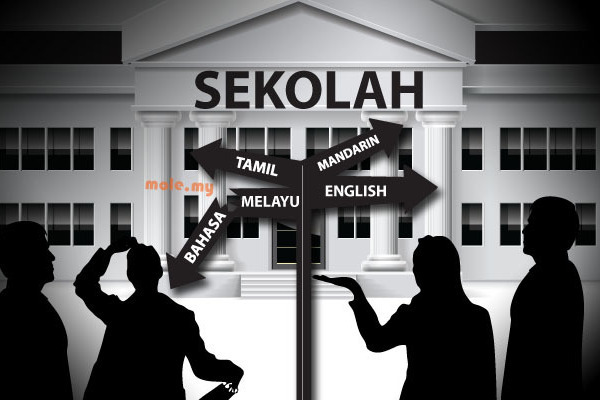 It is said that the seditious statement uttered in the course of his speech before the Dewan Rakyat was his call for the closure of Chinese and Tamil schools. But even a cursory read of the facts of the case will make it clear that this is simply untrue. A summary of the facts may be made as follows: Koding made a speech before parliament in which he questions the existence of Chinese and Tamil schools and the use of Chinese and Tamil on signboards. He asks why this is allowed and goes on to state that Article 152 of the Federal Constitution should be amended to permit their continued existence. It is for this – ie. the call to amend Article 152 – that he is convicted of the charge against him under the Sedition Act and not for his questioning of Chinese and Tamil schools. “The question therefore arises as to the true interpretation of proviso (a) to Article 152(1) (of the Federal Constitution). Having regard to the words used in the proviso, ‘teaching or learning any other language’ as opposed to ‘teaching or learning in any other language’, I tend to agree with the restricted meaning as enunciated by Abdoolcader J. when dealing with schools or other educational institutions. “In my view, under proviso (a), although the national language shall be the Malay language, the usage of any other language other than for official purposes, is guaranteed; so is the teaching or learning of any other language in schools, be it Chinese, Tamil, Arabic or English. But there is nothing in proviso (a) to justify the extension of the protection to the operation of schools where the medium of instruction is Chinese, Tamil, Arabic or English. “This strict interpretation is consistent with proviso (b) which guarantees the right of the federal government or any state government to preserve and sustain the use and study of the language of any other community in the federation. “Thus, the preservation and sustenance of usage of language of any other community is guaranteed. So is the preservation and sustenance of study of any other community’s language, but again there is no justification in extending the guarantee to the preservation and sustenance of study in the language of any other community in the absence of specific words to that effect. “Any other interpretation of proviso (a) would result in abusing the words used in the proviso. It is absurd for instance to think that the proviso gives constitutional protection to teaching or learning in school where the medium of instruction is Russian or Japanese. “To my mind, the protection only extends to language but not to medium of instruction in schools. In other words, no person shall be prohibited or prevented from teaching or learning Chinese or Tamil or, for that matter, any language which is not the national language in any school as a language subject, but such protection does not extend to the teaching or learning in a school where the teaching or learning is in any other language. Thus it is clear as daylight that while advocating the amendment of Article 152 of the Federal Constitution, which Koding did, was and still is seditious, his questioning of Chinese and Tamil schools was and is not. In conclusion, it may be said with absolute certainty that with due respect to Li, his assertion that Mohamad Azmi committed the offence of sedition when he called for a debate on the possible closure of Chinese and Tamil schools at the coming Umno general assembly is wholly without basis and incorrect, simply because there isn’t a constitutional right to the schools as claimed in the first place. Further, the legal precedent set by Koding’s case is not authority for the notion that questioning the existence of the schools is sedition. Quite the contrary, in fact. Thus Mohamad Azmi can safely rest assured that raising the status of Chinese and Tamil schools at the said assembly for whatever deliberation is not sedition but rather is within his right to freedom of speech protected by no less than Article 10 of the Federal Constitution of Malaysia. * Faidhur Rahman Abdul Hadi is a lawyer practising in Hartamas Heights, Kuala Lumpur and an activist member of Concerned Lawyers for Justice.